Product description: The essential casual bootie of the season. Easy to slip on and super comfortable to wear. Distressed to perfection for a relaxed, laid back look. Also available in waterproof leather and water-resistant suede. Love this boot. I have the light suede color and have worn them almost everyday for a year. Please offer again ASAP! I’d love the leather, and another suede pair. If you had a wish list, these would be on there! Very comfortable right from the box. This is my second pair of Sofft booties and they do not disappoint. Easy to slip on, comfortable all day, warm and toasty. I don't even wear socks with these boots and I live in New England. Buy now! 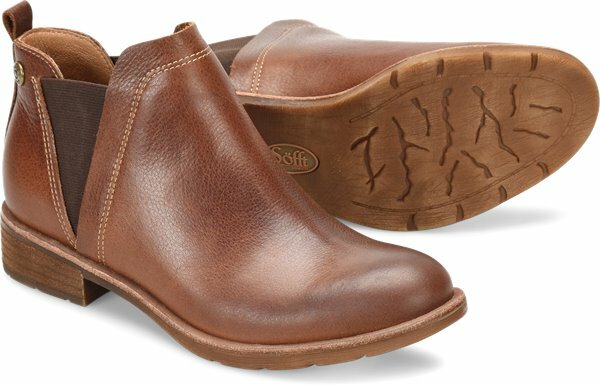 These boots are very comfy and I love the leather but, as another reviewer mentioned, the material covering the heel started to peel off after only a few wears. I am SO disappointed. I own other Sofft shoes and haven't had quality issues before. Really love this shoe! 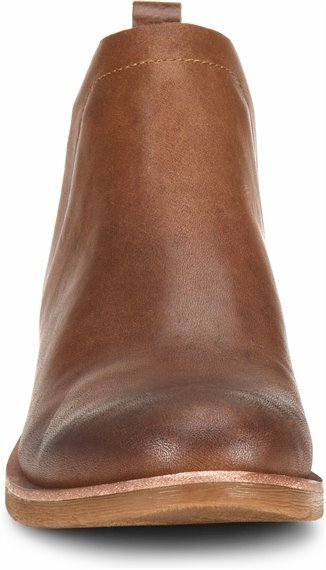 I was debating between the Selby and this shoe-I ended up getting both and I'm glad I did! This shoe hits at a great place on the leg-it bends when you walk super easily, so it's easy to pair with dresses. These shoes are super comfortable, but I have noticed the leather is starting to curl a bit at the very top-I didn't notice it at first and so I didn't always check to see if it was curled when I took the shoe off. I would just keep that in mind so catch that early and not let the shoe sit in a funky way! Love that these are all weather proof-when it's raining/snowing but not hard enough to justify snow boots, these are the perfect shoe. Honestly I wear them every season except for summer! Although the shoes are stylish and very comfortable, the heel is very poorly designed and began "shedding" the outside layer (the material glued over the rubber) after only a couple of months. Very disappointed. This is my favorite shoe! It fits so well and I get SOOO many compliments on it. 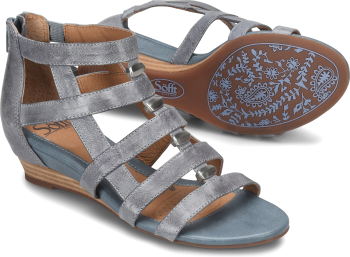 Thanks Sofft for making a great shoe! I've had the Bergamo in the floral print for a couple of months now. I love them more than ever. They've stretched just enough to fit my foot exactly. I have a high instep and have no problem slipping them on and off, the elastic is of excellent quality and extremely resilient. I'm extremely happy with this purchase! LOVE, LOVE, LOVE theses booties! They fit just a little big, but, honestly, that just makes them even more comfortable, and, although they feel great with no socks, it leaves room for any kind of sock you may choose to wear! I love them so much, I've ordered them in Whiskey, Brown, and Black, as well as the Bordeaux! The fact that the leather pairs are waterproof is just an added bonus! 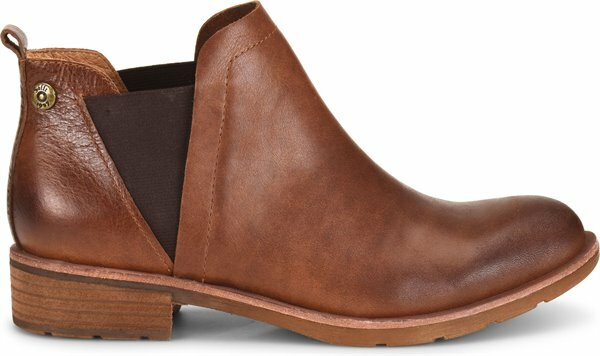 I HIGHLY RECOMMEND these booties! 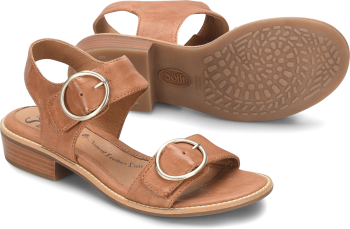 Thanks sofft, for making a terrific, nice, yet casual, bootie! ?? 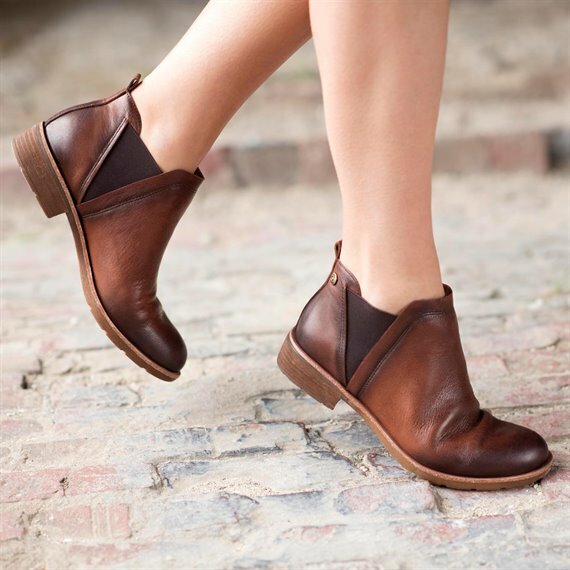 LOVE, LOVE, LOVE theses booties! They fit just a little big, but, honestly, that just makes them more comfortable! I love them so much, I've ordered them in Whiskey, Brown, and Black, as well as the Bordeaux! The fact that the leather pairs are waterproof is just an added bonus! 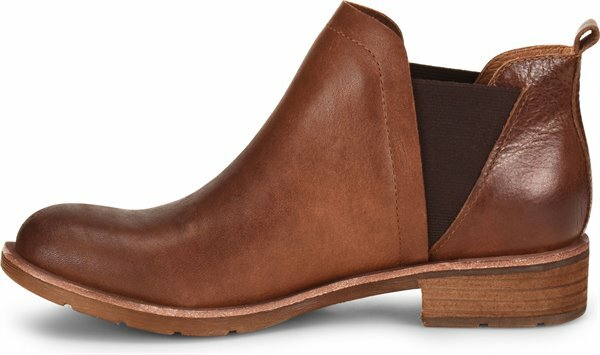 I HIGHLY RECOMMEND these booties! Thanks Söfft, for making a terrific, nice, yet casual, bootie! ?? Love these boots! Stylish and comfortable! I have both the floral and the whiskey color! I highly recommend; you don't have to sacrifice style for comfort! These are so pretty, the print on them is absolutely gorgeous and I love them! Ordered 6.5 and they fit perfect. 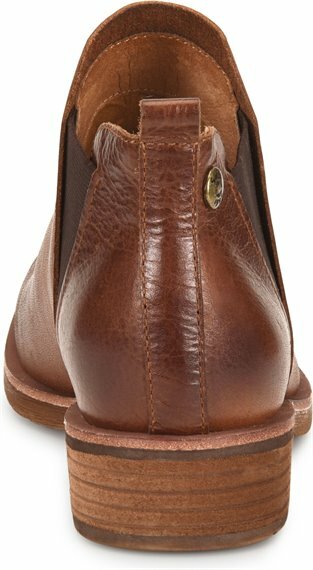 I have a high instep and often have trouble getting into boots/booties that have no zipper. These fit perfectly! Love these boots. 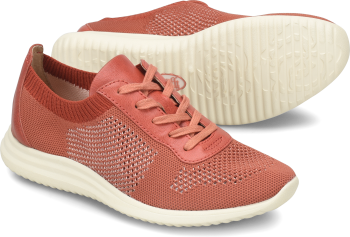 Great color, Comfortable, good arch support, perfect height for wearing with jeans. Absolutely love them! Awesome quality and very comfortable. Getting compliments constantly! Just got these booties yesterday and couldn't wait to wear them today. I've already had plenty of compliments and they look great with jeans! These fit perfectly and are very true to size. They started out a little tight as my fight are slightly wide but the leather relaxed for a custom fit. I'm very happy with these shoes.